Police say a woman was arrested last week after she broke into a Big Lots store in Springfield, Missouri, climbed into the ceiling and then came crashing down to the floor. Amanda L. Chandler, 30, was charged on Thursday with second-degree burglary after police say they found her rummaging through the cash register at Big Lots in the middle of the night. According to a probable cause statement, police were dispatched to the store just after 2am on Thursday because the alarm was going off. The responding officer noticed a window was broken out near the entrance of the business. The officer saw a woman, later identified as Chandler, standing toward the front of the business looking through a cash register. The officer shone a flashlight at Chandler, and she ducked down and then ran to the back of the business. Once she reached the back of the business Chandler climbed into the ceiling in a back storage area. Chandler then fell through the ceiling in the women's restroom. 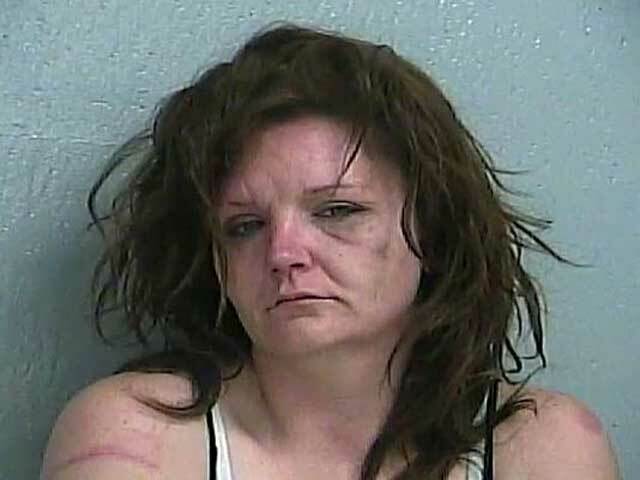 The officer arrested Chandler after the fall and transported her to the Greene County Jail. While at the jail, Chandler allegedly told a detective with the Springfield Police Department she remembered being in the ceiling but she did not remember how she got there. Chandler is being held in the Greene County Jail on $15,000 bond.